Yes, I am guilty. I am one of those people who shell out money just to purchase clean, purified water from water filling stations. I live in an apartment and I can't drink from the faucet because the water comes from our tank. Not clean. Pretty sure about that. But how about those who can't afford to pay P30 (per container) every week just to be able to have access to safe & clean water? Well, here's comes a silver lining! Unilever has recently introduced their newest, innovative product which not only purifies the dirtiest of water, but could also bring about huge household savings! Got my own unit! Waaaah! 1. 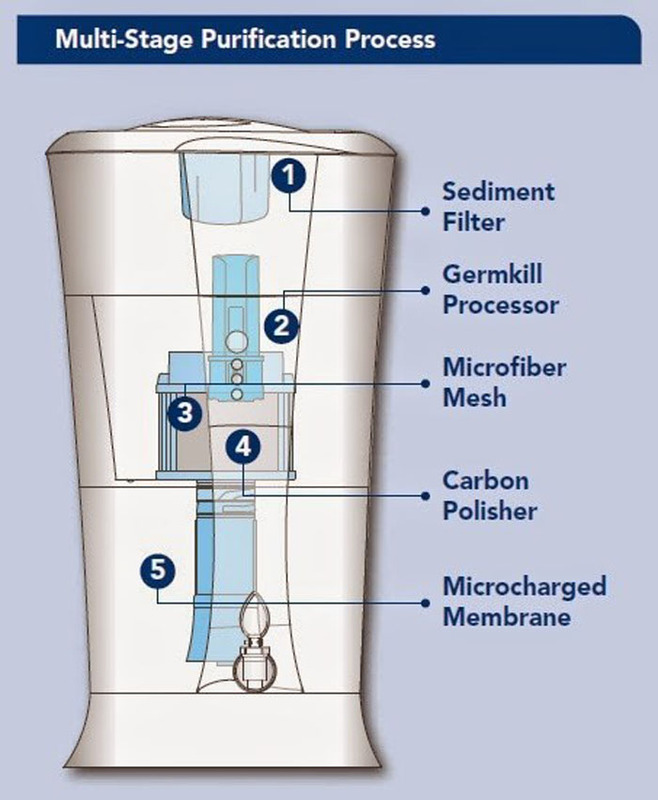 Removal of dirt via Sediment Filter. 2. Removal of harmful viruses and bacteria in the water through Germkill Kit. Germkill kit should be replaced for P1000 after 1,500 liters of purified water. 3. Removal of precipitated metallic impurities. 4. Removal of dangerous parasites and chlorine for clear, odourless, and natural tasting water. 5. Purification of water and removal of harmful parasites to be sure that the water is safe and clear for consumption. 1. Huge savings because you don't have to purchase clean water from filling station every week or every month. 2. 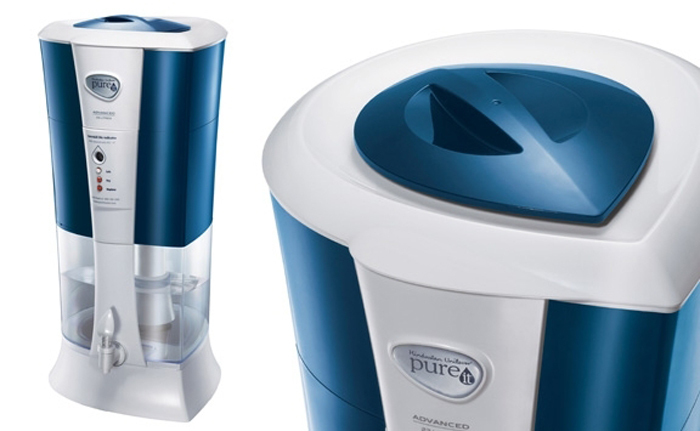 You could control and handle how your water is purified so you're sure it's healthy and clean. 3. Environment friendly! It lessens the use of bottled water. 4. Does not need electricity to function. 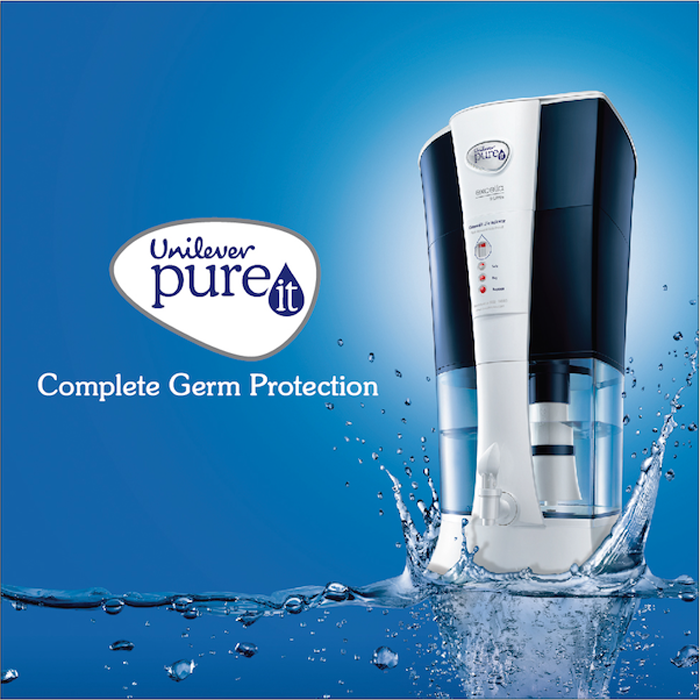 With this amazing product, Unilever also launched an awareness campaign to empower household consumers to question the safety of their drinking water, and in so doing, protect the health of their families. During the launch of the Pureit “Sure Ka Ba?” campaign, media guests watched a video of how a typical water refilling station processed the order of a customer, revealing how refilled water can become contaminated especially during handling, storage and delivery of containers. Eeek! The United Nations Children’s Fund lists diarrhea, cholera and typhoid fever as some of the deadly diseases that can be triggered by drinking contaminated water. 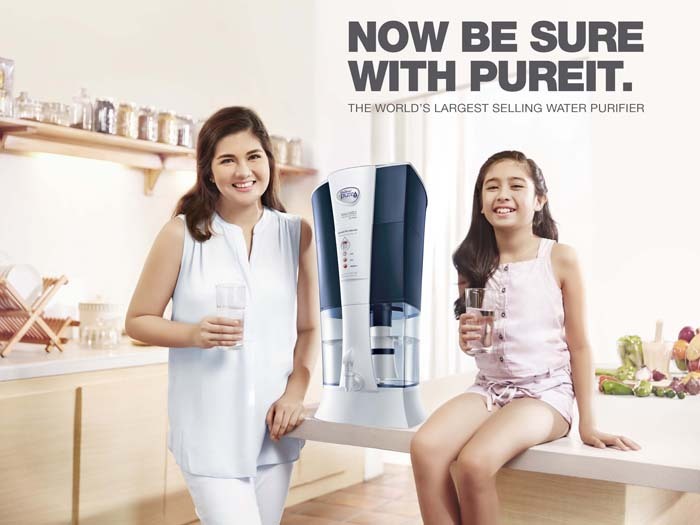 To help address this concern, Unilever has introduced Pureit Excella, an in-home, non-electric water purifier that converts tap water into clean and safe drinking water. 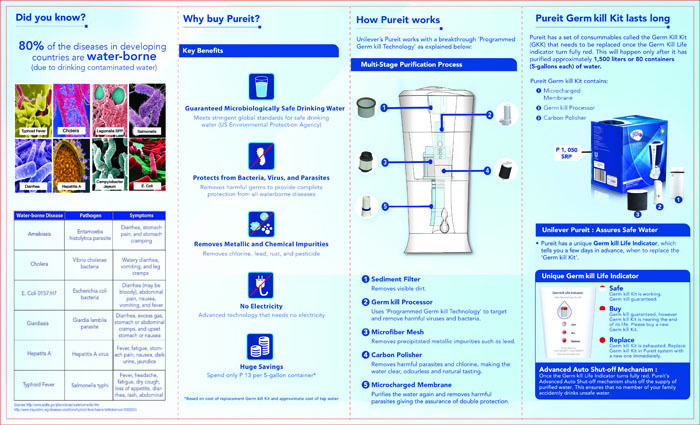 Pureit has an advanced five-step purification process that eliminates 99.9999% of bacteria, viruses and parasites to meet the stringent safety standards of the US Environmental Protection Agency. Two product demonstrations were held to showcase the efficacy of Pureit in eliminating microscopic disease-causing germs and bacteria. The demonstrations were conducted by the Unilever Research and Development team and a microbiologist from SGS, the world’s leading inspection, verification, testing and certification company. Unilever Philippines vice president for Home Care and Foods Benjie Yap talked about how Pureit’s “Sure Ka Ba?” campaign and other efforts to bring safe drinking water closer to Filipino families are part of the Unilever Sustainable Living Plan which allows Unilever to provide health and wellness, environment, nutrition and livelihood programs on a global scale. 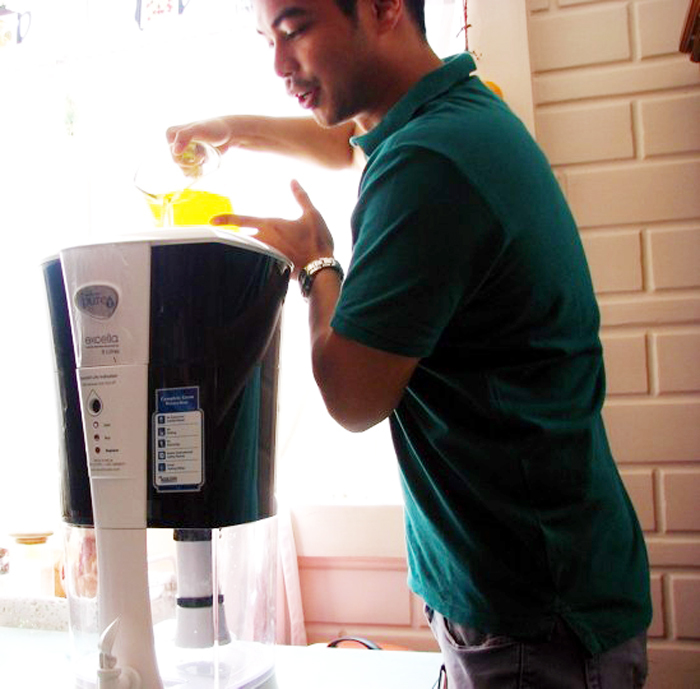 innovative product which not only purifies the dirtiest of water, but could also bring about huge household savings! This is a great review. This is a very good product. This helps us to cleaned up water. Thank you for sharing this blog with us. This is very informative. Hope your next post will published soon.